"At Amendia, we are committed to the continuous development of surgeon skills to treat scoliosis,” said Chris Fair, Amendia’s President and CEO. 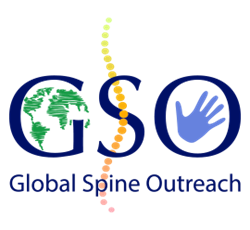 Leading provider of innovative medical devices Amendia, Inc. is pleased to announce its partnership with and support of Global Spine Outreach (“GSO”), a charitable organization dedicated to establishing first-rate scoliosis treatment centers worldwide. Amendia is the primary industry sponsor of the Third Annual Spinal Deformity Symposium, to be held October 22, 2016 in Mexico City. The symposium unites scoliosis experts and interested attendees in a combination of case presentations and workshops designed to improve and expand care to scoliosis patients. The symposium is followed by a fundraising reception to help improve the lives of children with complex spinal deformities around the world. According to GSO’s figures, scoliosis afflicts nearly 200 million people worldwide. Over 60 million of those individuals, including children, are unable to receive treatment due to lack of access to basic surgical care. If left untreated, severe scoliosis can lead to chronic pain, difficulty breathing, paralysis, and early death. In order to improve the quality of care and availability of first-rate treatment, GSO focuses on spinal surgery education. Global Spine Outreach is a 501(c)(3) nonprofit organization providing medical treatment to children suffering from the effects of spinal deformities worldwide without charge to the patient or their families. GSO physicians are 100% volunteers, and all donations go directly to providing and improving the care of children with spinal deformities. Headquartered in a state-of-the-art manufacturing facility in Marietta, Georgia, Amendia is a leading designer, developer, manufacturer, and marketer of medical devices used in spinal surgical procedures. Amendia’s mission is to exceed surgeon and patient expectations by creating balanced solutions with disruptive technologies for medical devices paired with biologics and instrumentation. Amendia’s vertically-integrated strategy focuses on improving surgical outcomes and the lives of patients with spinal disorders. For more information, please visit http://www.amendia.com.